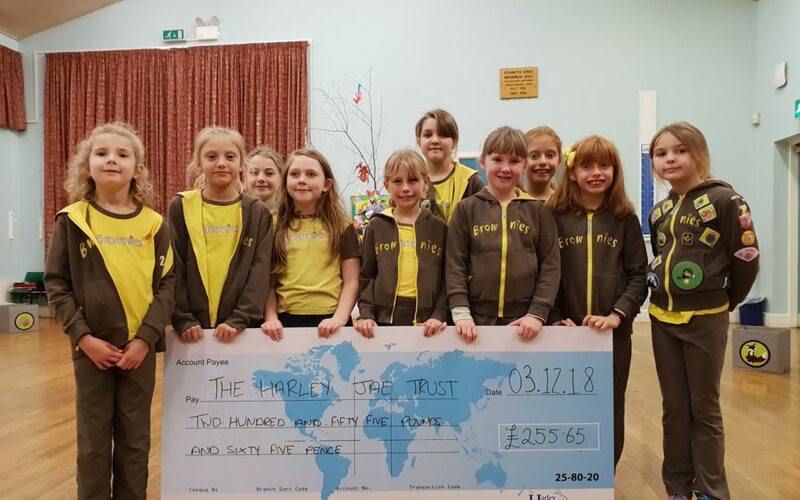 The Gunthorpe Brownies arranged a ‘Fun Fair Night’ at Gunthorpe Primary School on the 26th November and raised £255.65. The money raised will go directly to children on the Paediatric Critical Care Unit at the Queens Medical Centre in Nottingham. The charity will be bringing Christmas Presents to the children on the ward on the 16th of December as part of their annual ‘Present Dash’ and the money raised from this event will go towards buying the children’s presents. The event involved fun fair style stores including a coconut shy and hook a duck as well as a cake sale, glitter tattoo’s and hair braiding. Members of the public were invited to the event which was a great success for the girls group as over £250 was raised. We all had to choose a charity that we wanted to support and vote for which one we wanted and I put the Harley Jae Trust forward and everyone voted for it. My mum and Stepdad work at the charity so I really wanted to do something to help. We had a really good night with lots of people turning up and we beat last years fundraising amount so I’m really happy.